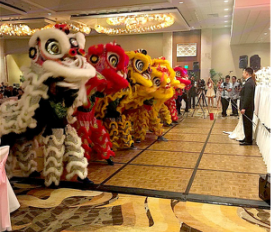 Our mission in Sing Yung is "to immerse our students and engage the community in the ideals and traditions of the Chinese culture through lion dance, dragon dance, and martial arts." NOW OFFERING FRIDAY NIGHT BASIC PRACTICE! 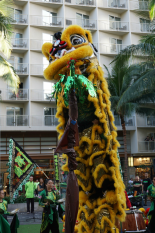 Have you ever wondered what is lion dancing or ever wanted to BE the lion? Do you want to learn more about it? Come down and give it a try! ​Seek more information by clicking on the Membership tab. Join our club . . .
Book a performance . . .
Want Sing Yung at your next event? See more of Sing Yung in action!